Hand-painted floral lace design borders white text on a kraft background. Like this wedding invitation? You can personalize it with your own wording and details at minted. 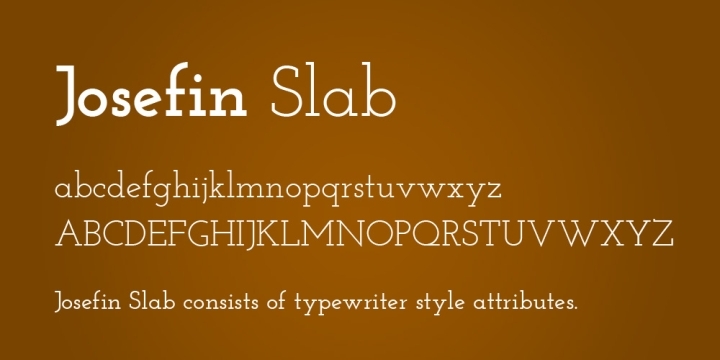 Josefin Slab is slab serif typeface designed by Santiago Orozco. Inspired by the the 1930s trend for geometric typefaces, Josefin slab combines both Kabel and Memphis with modern details. Josefin is available in 10 weights ranging from thin to bold with corresponding italics. Josefin Slab is free for both personal and commercial use so feel free to use it in any wedding project you like. You can download it for free here.